Cooking once for all week is a saving in time and energy, and if you have help, it makes it more fun. Nearly everyone will at some point, become a caregiver of a loved one. It’s a difficult job, especially if you have a busy life to start with. But we all need to keep on living at the same time. Below is a link to one caregiver’s list of tips. Virtually all are contained in one way or another in OK Now What? A Caregiver’s Guide to What Matters, though sometimes hearing something in different words, even though it conveys the same meaning, helps it to hit home. It often comes on so gradually it’s hard to pinpoint when it turned a corner. Hiding and rummaging can even be exaggerations of traits the person has exhibited all his or her life. Someone who has taken care of business — gotten the mail, paid the bills, made sure everything is taken care of — has crossed over into behavior that is detrimental to their and potentially their caregiver’s welfare. One friend, whose husband had vascular dementia, and who had his entire adult life taken care of the family business, began to hide the mail. Bills, notices, financial statements, it didn’t matter. It went into a hoarding place (in addition sometimes to the trash) that only he knew. It took his wife and children several weeks to work out where all these important pieces of paper had gone, and then to sort out how to prevent it happening. The article, (link below), has practical suggestions that, if not immediately applicable to your specific circumstance, may well offer ideas for adapting with the least amount of struggle. Breathe. That’s the mantra Sue Collins, RN and I sound like a low bell throughout OK Now What? A Caregiver’s Guide to What Matters. Breathing deeply and mindfully is something that we often forget when we’re rushing, fraught, stressed. Yes, we’re breathing, but we don’t remember to BREATHE. Taking a moment to breathe, deeply, evenly, consciously, can help calm us and even helps to bring down blood pressure. It’s simple, can be done anywhere, and has a genuinely positive effect on our body as well as our outlook. There are other simple things that a caregiver can do to help himself or herself that don’t require cash or even much time. But each can, in its own way, help us continue our journey a little bit refreshed. Life can be complicated even when everything is relatively simple — you go to work, you come home, you pay the bills, spend some time with family and friends. But it is even more complicated when you are the primary caregiver for a loved one, whether it’s a parent, a spouse or a child with medical issues. Most caregivers are women, and women, as most of us know, will sacrifice their own health (it’s the ‘Everyone-Comes-Before-Me syndrome) rather than take care of themselves. It may seem selfish. It’s not. It’s practical. If you as caregiver are not OK, you can’t offer the kind of care for your loved one you want to. But sometimes figuring out what and when to do for yourself is not as easy as I’ve just made it sound. Full or Empty Fridge Indicates What? You can tell a lot about a person by looking in their refrigerator. Are they focused on fruits and veggies? Processed food? Beer and cheese and maybe some moldy takeout? It also helps to give you as caregiver a clue to what’s going on with your loved one’s health. If they aren’t cooking for themselves, or barring that, bringing in healthy meals, they are MUCH less likely to be living the best life they can regardless of where they are in their life. OK Now What? A Caregiver’s Guide to What Matters offers strategies for taking care of yourself as caregiver, and by extension, your loved one. Simple, healthy recipes for Sunday cooking (or Tuesday, who cares? you can cook whenever you’ve got the time!) to create meals that will last most of the week and provide healthy and delicious food that will sustain you and your loved one. 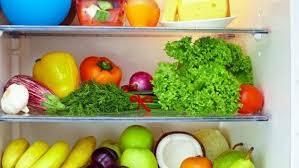 A look at the article in caregivers.com will let you know how important it is to focus on empty vs semi-full fridge. I have to confess I loved the alliteration of the title, but this post is actually about fiscal fitness for the cared-for person — a parent, grandparent, spouse, even sibling. It’s not easy, and in many cases not a welcome responsibility, but it’s one that can keep a loved from financial disaster if accomplished with attention, knowledge and care — usually and most effectively in collaboration with others. The ‘collaboration with others’ piece is not just to alleviate stress and burden on the person who becomes financial manager for a loved one who is no longer able to manage on their own — or at all. It is also a protection for the manager. Having other people who see how decisions are being made in conjunction with available resources helps to prevent unfounded accusations of mismanagement. Additionally, having other people in the loop can help spread the research load — is there a resource for day-care that won’t bankrupt the loved-one that the primary manager didn’t know about? Are there people in the community who help with financial planning at low- or no-cost? Others may have great ideas and knowledge that will make the job simpler. Once supplied with additional information, the point person/manager may make better financial decisions on behalf of the loved one. Of course, he or she needs to have the proper paperwork in place (OK Now What? A Caregiver’s Guide to What Matters, available at amazon.com, includes a list of needed documents). As a starting point for fiscal fitness, the article (link below) offers a quick view of what you need to consider to help you help your loved one. I’ve never been one to make New Year’s resolutions since I knew I could never keep the most stringent ones, and the lax ones are things I already do ( like flossing, and scrubbing the bath tile). BUT the list on Caregiver.com offers a pretty compelling and doable list (which happens to corresponds to our own experience-based suggestions in OK Now What, A Caregiver’s Guide to What Matters available at Amazon.com ) . One of the most important is: Take care of yourself! If you’re not OK, it’s unlikely you can manage to keep your cared-for person, (and everything else in your life) OK. Even if you’re an anti-resolutionist, at least give it a look — if not for yourself, then for the caregiver you love.